Are you a pizzeria (or any small business) owner who is looking for a way to increase sales? Is your product the best around, but nobody knows about it? Are you growing frustrated with expensive advertising that is ineffective? Well, good news, there is a simple solution. Even better news: it's totally free, and you can do it all from a mobile smart phone! The solution is social media, and we will start with the basics of two of the most popular sites that people use: Facebook and Twitter. Use these 10 simple steps to get your business online on both sites in 30 minutes or less! These tips will work for any small business as well. Sign up for a Facebook and Twitter account as soon as possible, and try to obtain your restaurant's name as a user name. The sooner you get signed up, the better chance that someone has not stolen your name. If the name is already taken, add your City or Town's name, or something that clearly identifies that the facebook or twitter account is yours. A twitter profile only consists of a 160 character synopsis, a location, and a link to your company's website, so that will take only a few minutes. Facebook is a little more elaborate, and allows you to enter much more information. The more information you fill out, the better. Also, it's very important to add a profile picture (usually your company's logo), and a cover photo (usually a picture of your store front or a signature menu item). These photos make the pages more interesting for viewers to look at. Social media is very simple. You can share your own content, like or comment on other people's content, or share other people's content. On Facebook, if you "Like" a post, that simply tells the poster that you saw their post and appreciated it. The same goes for the "Favorite" star on twitter. To share something on facebook is to take someone else's post and share it on your own facebook page. This is the same as Retweeting on Twitter. There are many other functions on these websites, but these basic functions are what you will need to get started. There is no magic formula to social media as I've found out. Some of the most well thought out posts I've made over the years have gone unnoticed, and some really simple and seemingly stupid posts have been viewed, liked, and retweeted by many people. Don't feel pressure to be overly creative, just be yourself and that will come through to your customers over time. Share pictures of your pizzas, your restaurant, customers, new signs, community news, or anything that might be pertinent to your customers. Maybe you want to get the high school football game crowd to your restaurant - share stories about the team and wish them good luck on game days. You should share daily or weekly specials, offers, coupons, new menu items, or anything else you want your customers to know about. 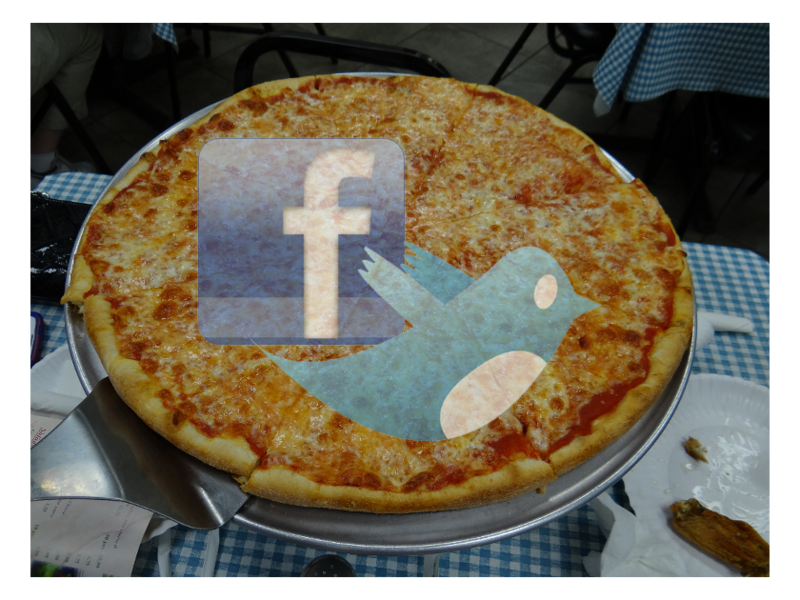 Also see, The Problem With Mom and Pop Pizzerias for more how-to's on getting your business online. My general philosophy of sharing on Facebook is a maximum of once per day and I'll tell you why. On facebook, people can follow your page without really following your page. WHAT?! Well, if a customer follows your page and you fill their news feed up with constant activity, they are likely to get tired of your message and hide you from their timeline. You have essentially lost this customer's interest forever if they hide you, so don't overload people on facebook. Facebook posts also linger around longer and aren't in chronological order, so consider that as well. Twitter is much simpler and tweets that you send out stay in a timeline with the rest of the people that your customer is following. Chances are people aren't checking their twitter accounts all day and won't get annoyed with multiple posts on this site. Plus, there is no option to hide you so they must unfollow your account to ignore you. I recommend up to 10 twitter posts per day. It may seem like you are playing with your smart phone and being lazy, but what you're really doing is engaging people and building relationships. If someone tweets to you asking the specials, you better answer them within 12-24 hours. Engaging people will help you develop a following much faster and you will have more fun along with your customers. When customers have access to "the owner" or designee, they feel like a part of something, which leads to more visits to your store, and more positive reviews on review websites like Yelp, Urbanspoon, and TripAdvisor. Send out a tweet saying that the next customer that calls will receive $5.00 off their order, or a free pizza, or a free drink with a sandwich. Anything at all, but let people know there is a benefit to following you online. Some people like to give away better prizes like a gift certificate or dinner for two once certain social media goals are hit. For example: "ABC Pizza will give away a $25 gift certificate if we receive 25 retweets. You must follow us to qualify." 25 retweets will expose your business to 25 different twitter user's entire following, which is a really big deal! Their followers will follow you to have a chance at winning the gift certificate. Try it out, it really works! Place a sign by the cash register, on the door, or on tables to let people know they can follow you on facebook and twitter. If you put it on your table, it will give the customers something to do while they are waiting for their food and improve their experience. Encourage them to check in at your restaurant and join in the conversation. If done properly, customers can actually do a lot of social media work for you, especially if they are loyal followers. Building an audience takes some time, so don't get frustrated if you only have a few followers. Keep posting, interact with other people, search out topics related to your business and "like" or "favorite" those posts by others. They will be notified that you like their post and they may follow you back. Also, follow people back. This makes them feel important, and also gains you exposure to their social media friends. It's so easy to give up on social media, but if you push through, you will reap the rewards of increased sales, a loyal following, and the ability to advertise by yourself without having to pay the local newspaper or television station. Social media is not an exact science, but one thing is for sure - you can drive sales by engaging customers and letting them inside your business through online interaction. I reached out to Basilico's Pizzeria in Dickson City, which has one of (if not the) strongest online presences in Northeast Pennsylvania. They said, "The use of social media for Basilico's has helped us in more ways than we could have imagined. It has helped shine a spotlight on our business! We love being able to interact with our patrons and it has had a significant impact on our sales." I recommend checking out Basilico's on Facebook and Twitter and you will see what we are talking about! It's OK to learn by checking out what everyone else is doing, but it's not OK to plagiarize someone elses work - just like in school! So get out there, see what everyone else is doing, and get your business online. Every moment that you aren't online is a potential sales dollar being missed. If you have any comments or additions, please leave them below. 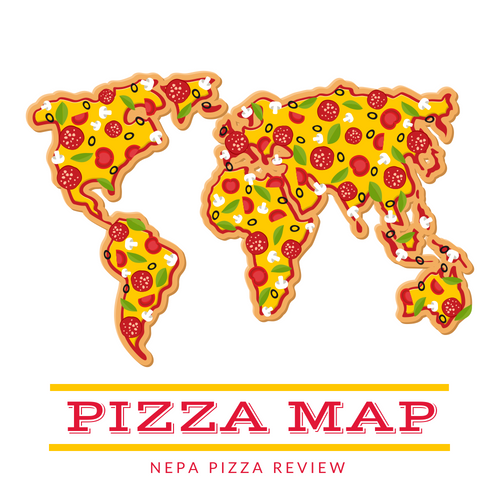 If you have any questions for the author, please email at nepapizzareview@gmail.com.